Cashmio is running some very special casino races from September 27th until October 3rd. Each day you can participate and win free spins on Northern Sky slot game by Quickspin. But they also have a final draw with some amazing prizes. All you need to do is play selected slot games with a minimum bet of €0,80 a spin. These games are Northern Sky, Penguin City, Swipe and Roll, Jumanji, Hanzo’s Dojo, Dwarfs Gone Wild, Hidden Walley, Pied Piper, Mighty Arthur, Mayana, Sakura Fortune, Goldilocks, Eastern Emeralds, The Three Musketeers, Archangel’s Salvation, Asgardian Stones, Fruit Spin, Planet of the Apes, Reel Rush, Butterfly Staxx, Jack and The Beanstalk, Secret of Atlantis, Mythic Maiden, and Flowers. 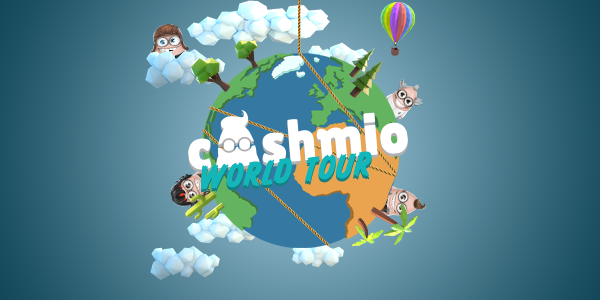 Cashmio offers a huge amount of games from many different software providers. They also offer all new players 20 no deposit free spins and a nice welcome bonus with first deposit.